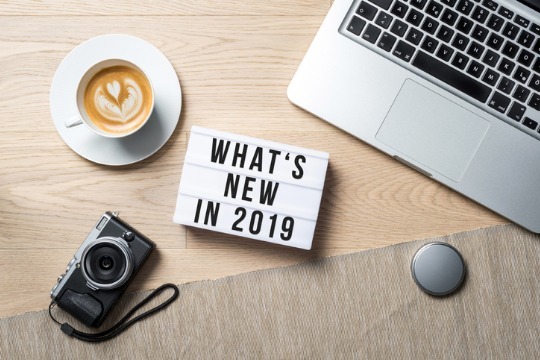 2018 was great, but it’s nothing compared to what 2019 has the potential to bring for your business. Begin by taking advantage of underpriced attention, creating more content, and restructuring your marketing strategy from a 1+1= 3 strategy to a 1+1+1= 3 strategy. There has never been a better time to reach your audience in a personable way. Engage with your customers. Experiment with new creative styles on different digital platforms. However, most businesses in 2019 will not take advantage of these new strategies. They will continue to follow the outdated marketing strategy their company founders created. If your 2019 marketing strategies don’t stay relevant, neither will your business. If you want to grow your business in 2019, you have to have a healthy balance of branding, marketing, and sales. Most businesses thrive in one or two of these areas but rarely succeed at crushing all three. In 2019, your business is going to need all three if you want to grow. This is why Facebook advertising and content creation is so special. It’s the first platform that gives your business the ability to have marketing, branding, and sales all under one roof. It also doesn’t hurt that the attention on this platform is greatly GREATLY underpriced, but we will get to that later in this blog post. Before Facebook came on to the scene, there was no branding (the way Facebook allows) in marketing. Every business was just little blue letters in a Google search or a pretty picture on the side of the road. Then, Facebook dropped from the heavens and gave us the ability to not only communicate with and hyper-target an audience, but also highlight your brand at the same time. It doesn’t matter how big your business is or what your business does, we all battle for the same thing – attention. It’s interesting how businesses all want attention and spend a lot of money capturing that attention but don’t take advantage of that attention once they have it. Your creative “branding” is the way to take advantage of this highly sought after attention. It’s the variable people use to decide if they are going to buy your service or product, or find something better… something they connect with. So many businesses are too focused on the sale, ROI, and clicks that they forget about the value and importance of branding in their marketing equation. 1+1 does not equal 3. If someone comes to your website and bounces immediately, then all that marketing, time, and money to get that click was pointless. The creative branding is what matters. Knowing the way your target market interacts with your creative branding matters even more. Knowing this allows you to tweak, test, format, and create something that turns that important click you’ve spent so much time trying to capture into a conversion. Some businesses choose to ignore hard data entirely and pour a lot of money into their commercials or billboards. Their focus is just on the creative (design, look, colors) of the ad. The thinking behind this type of marketing is if it looks nice and captures attention, it will convert. However, audience engagement and conversion is about more than just the way things look. You need to have an equal share of art, data, and communication in your marketing. Without these, you end up guessing and subconsciously telling yourself it worked in the end. Billions and billions of dollars are spent each year on outdated marketing avenues. No one watches commercials in today’s day and age (unless they are during the Superbowl). We either fast forward past them, watch our shows on digital platforms that don’t have commercials, look at our phones, or go get a snack in the kitchen when they come on. And yet, billions of dollars are still being spent on 30-second T.V. commercials every single year. When these companies, who are still spending billions on 30 seconds T.V. commercials start restructuring their focus and start allocating even more of their marketing budgets into the digital ecosystem, you are going to see a drastic increase in digital advertising overnight. This is why it’s so important that you start now, and take advantage of this underpriced attention in 2019. Are you ready to take advantage of this underpriced attention? We can help! Schedule you free consultation today.